From Richwood, WV take 39/55 East about 8miles and turn up a mountain Road for 2miles to lake. Summit lake is part of the Momogahela National Forest. 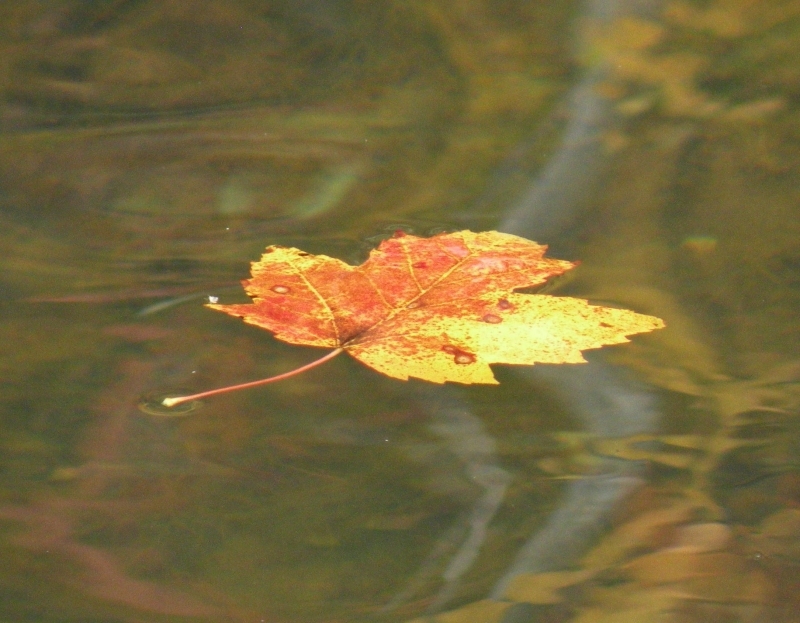 Maple Leaf on Moving Water on Summit Lake In WV.